The good news in Richmond tomorrow is that our beloved Farmers’ Market @ St. Stephens is indoors an extra week. The weather may be a bit mucky, but inside it will be warm and dry and full of delicious options! We have just finished up an abundant early-spring harvest of Rainbow Chard | Salad Mix | Curly Kale | Microgreens | Spinach | plus a sprinkling of Herbs. We will also bring an assortment of our vegetable and herb plants for your garden. Next week will be a good week for planting, even if Saturday isn’t the best day for gardening. It’s been quite a couple of weeks here on the farm. Cold. Windy. Toss in some computer trouble and a couple of injuries. We are fine, but if the lines in our faces look extra deep, or the bags under our eyes a little darker than usual, know that we are wearing the marks of this particular Spring. Spring is fickle, just as each season can be. Some plants are always lost. It can’t be the best season for everything every year. These moments are the times to step back and look at the big picture and enjoy a really delicious meal. Even if we are surprised to find ourselves craving warm soup during an April snowstorm! Computer/phone problems also mean that we can’t upload other photos of the farm to this newsletter or Facebook or Instagram this afternoon! You’ll have to take our word for it: An 18-wheeler-load of Compost has been delivered. // Tomatoes have been planted (in the heated greenhouse!). // A few thousand onions have been planted (some of them have been planted, ripped out of the ground by the wind, and then re-planted!). 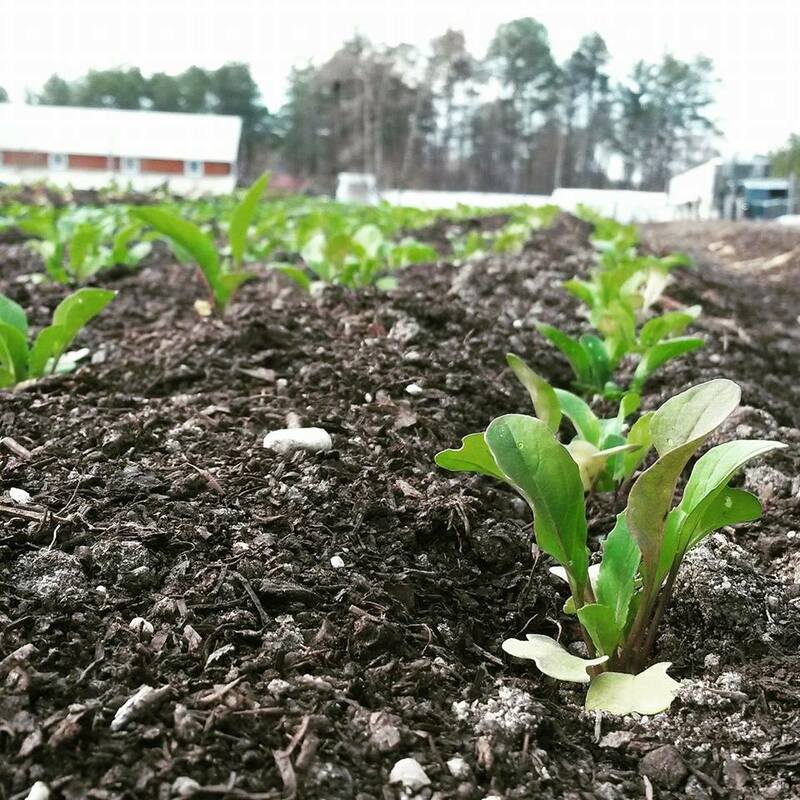 // Brassicas have been planted and leafy greens have been harvested, all with smiles on our faces. Happy April! 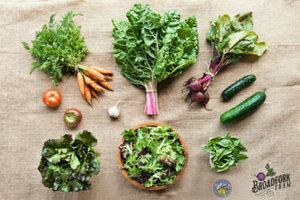 Sign up for our CSA (Community Supported Agriculture) remains open and our last remaining shares are getting snatched up by food-loving people of our community. 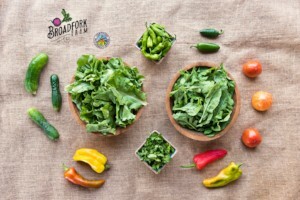 Join us for weekly shares of our vegetables, May through November, by signing up here! We’ll see you all at the Farmers’ Market @ St. Stephens tomorrow, Saturday, in the West End of Richmond where you will find us and our delicious bounty indoors! Rainbow Chard | Salad Mix | Curly Kale | Microgreens | Spinach | plus a sprinkling of Herbs | plus PLANTS…and our Organic Hearth Baked Bread (Sunny Greens, Whole Rye, Raisin, & Seed loaves for this weekend) and Tomato Chutney. Also keep an eye on what we have available via the online farmers’ markets: FallLineFarms.com and Local Roots Food Coop.